Nothing quite welcomes you home to your metaphorical castle like a suit of armor standing in the entry hall! Dark Knight Armoury is your number-one provider for all manner of pieces of decorative armour, ranging from singular pieces like decorative breastplates and gauntlets to impressively detailed full suits of decorative armour. Virtually every decorative piece of armour you see is historically accurate, at least in shape, and often features attractive furnishings that transform a typical piece of medieval protection into a stunning work of art. 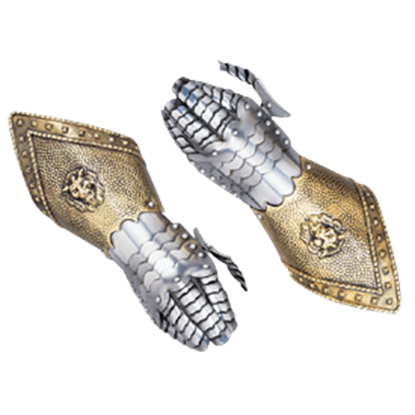 Our decorative gauntlets are a small touch, adding a bit of medieval style to virtually any decor they are placed in, while our breastplates are a bit larger, acting as great wall-hanging decoration, either on its own or over a sword or other medieval weapon. 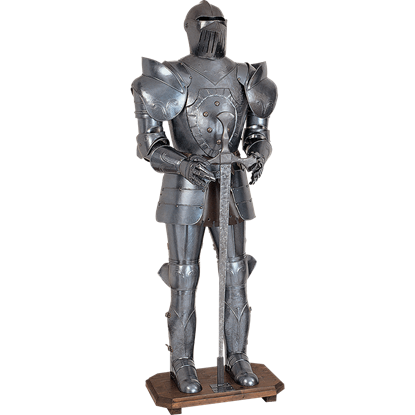 And for the true enthusiast, nothing looks quite as impressive as a full suit of armor, standing against the wall as a part of either your home decor, your office decor, or as a theater or display prop. Please note that all pieces of decorative armour are for display only, as many pieces feature intricate designs and detailing that render the pieces too pretty to be used in combat without defacing the item. It does not matter how you are looking to decorative, because whether you are looking for something that is little, big, or outright huge, you are sure to find a great touch of medieval style and influence right here in the Decorative Armour section at Dark Knight Armoury. 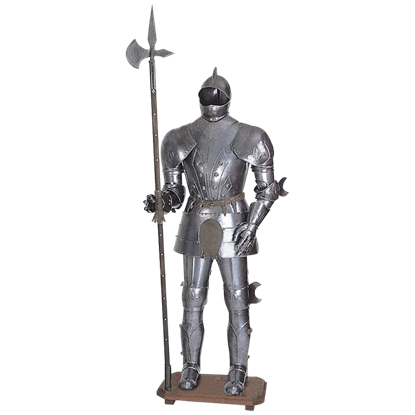 Decorate your home or office with the astonishing historical appeal of the 15th Century German Full Suit of Armor with Sword. 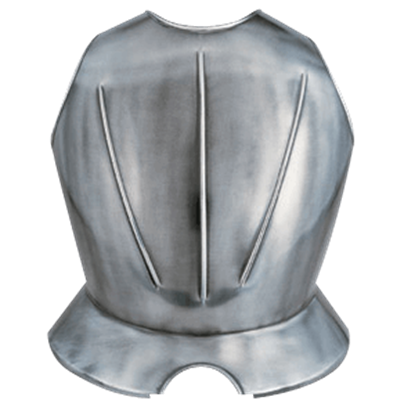 This marvelous replica set of armor employs a classic German styling from the age of the Teutonic knights. 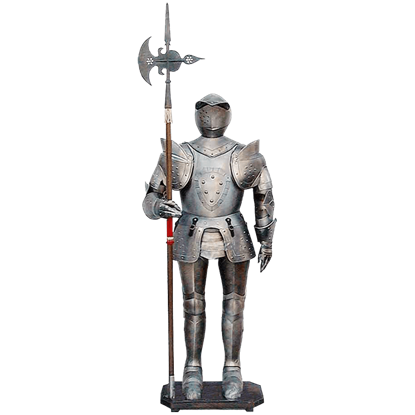 Capable of transforming the decor of any room with its exquisite historical appeal, the 16th Century Italian Full Suit of Armor with Halberd is a magnificent decoration which replicates the Milanese armor style of the Renaissance. 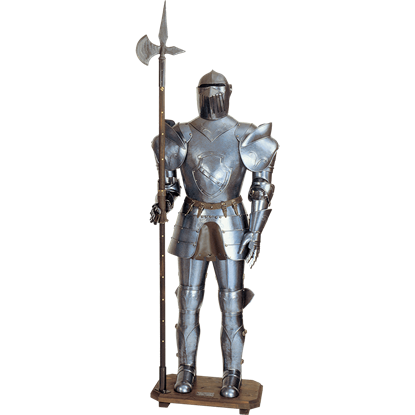 Accent your home or office with the elegant visage of a Renaissance knight with the 16th Century Italian Full Suit of Armor with Sword. This decorative suit of armor exquisitely displays the famous 16th century Milanese style of armor. These 16th Century Spanish Gauntlets by Marto are typical of Spanish armor. A defining feature of these gauntlets is the separate, articulated fingers, which protect as well as provide a wide range of movement. The 16th Century Suit of Armor Display is a life size, beautiful display piece and accent. 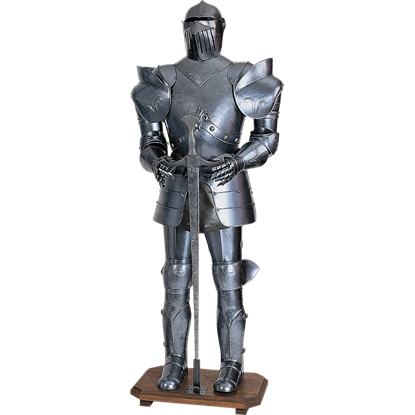 The 16th Century Suit of Armor Display is handmade of aluminum. This impressive medieval suit of armour is made in Italy. 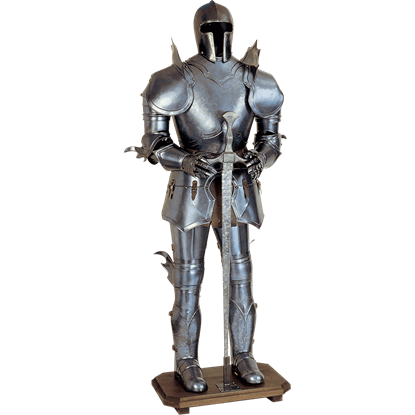 The Closed Sallet Suit Of Armor Display is a life size, beautiful suit of armor. The Closed Sallet Suit Of Armor Display is handmade of aluminum. This impressive medieval suit of armour is made in Italy and shows off great realism. These Decorated 16th Century Spanish Gauntlets by Marto are typical of later Spanish plate armor. A defining feature of these gauntlets is the separate, articulated fingers, which protect as well as provide a wide range of movement. Replicating the exceptional style used by Milanese master armorers during the Renaissance, the Decorative Fleur de Lis Full Suit of Armor adds sophistication and elegance to the atmosphere of any room in which it is displayed. The Breastplate is 18 inches high and is equipped with chain hangers. It makes a stunning wall display, either alone or over wall-mounted swords or pole arms. It is crafted in burnished steel, with accents where applicable. 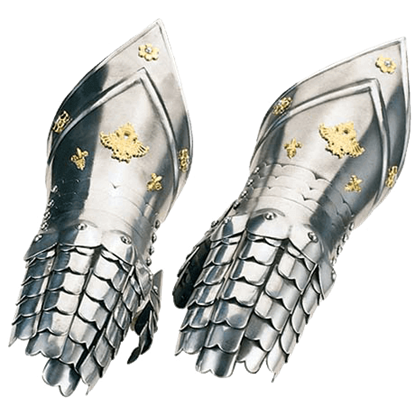 These Deluxe 16th Century Spanish Gauntlets by Marto are typical of Spanish plate armor. 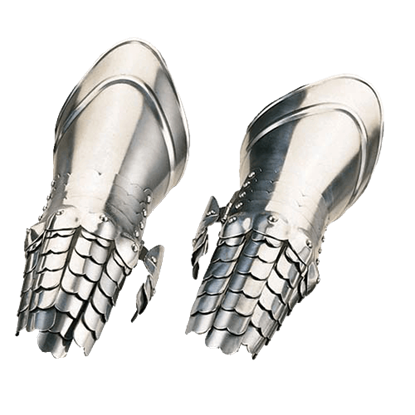 A defining feature of these gauntlets is the separate, articulated fingers, which protect as well as provide a wide range of movement. This piece of medieval-style armor makes a perfect accent for a themed den or office decor, or works very well as an individual conversation piece. 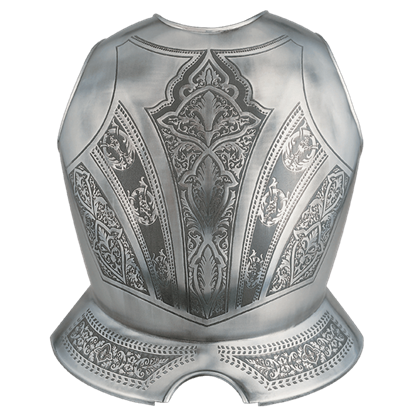 This breastplate is crafted in burnished steel with classical engraved details. 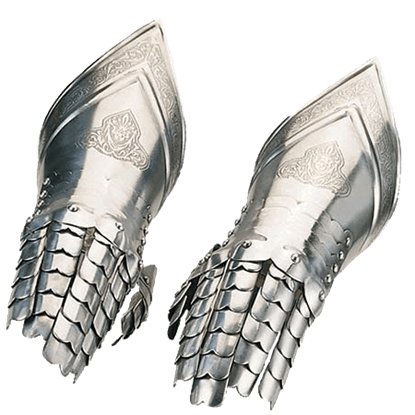 While they are made for display and cannot be worn, these gauntlets from Armaduras Medievales are nevertheless historically accurate in their design and decoration and provide some insight into the capabilities of the medieval armorers.